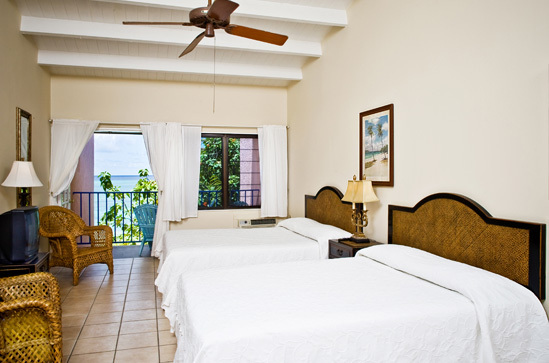 overlooking the ocean and beach. 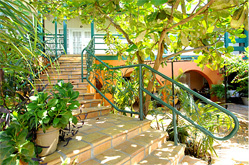 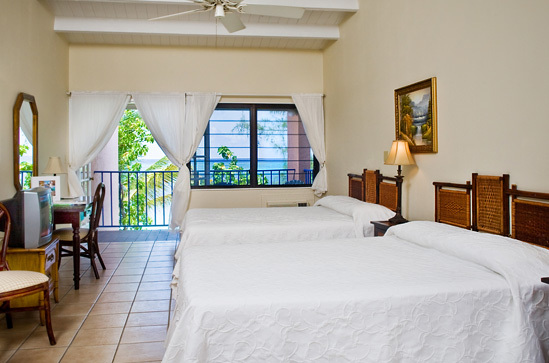 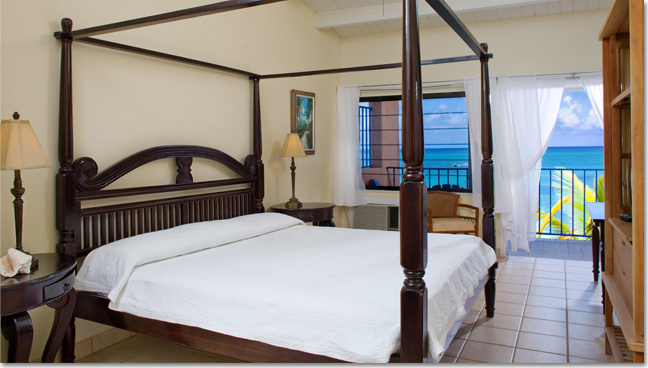 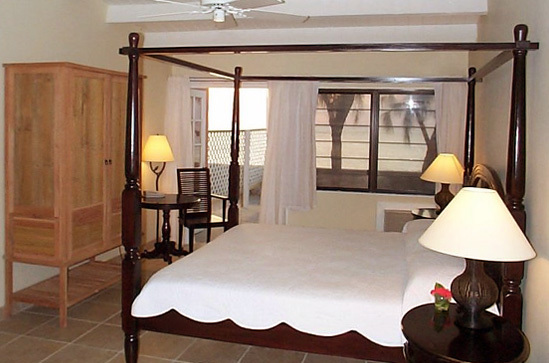 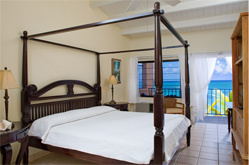 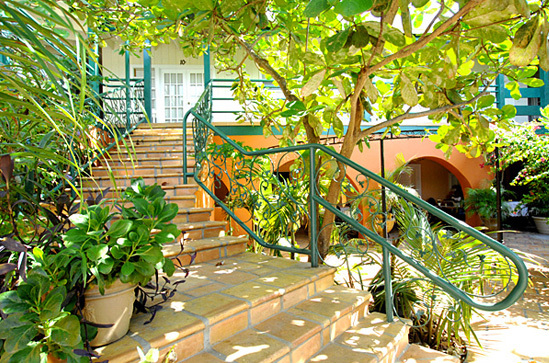 The Atrium offers guest house accommodations overlooking a tropical courtyard just steps to the beach. 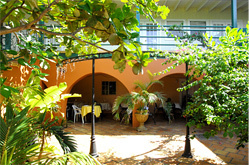 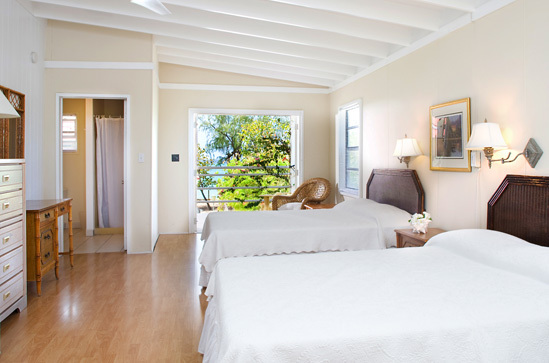 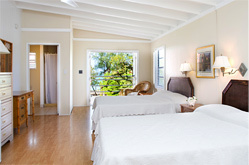 Six large airy rooms with balconies facing west, offering seating and hammocks and some ocean views, as well as two small economical courtyard rooms. 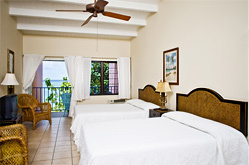 All accommodations have a private bathroom with shower. Please note that all of the above prices are subject to government required 12% tax and 10% service charge. 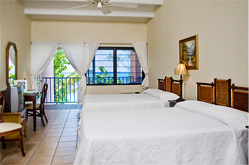 Cancellation Policy: If reservation is cancelled more than 30 days in advance, any deposit taken will be refunded minus a $35 processing fee, if cancelled less than 30 days prior to reservation then no refund will be given.